In nutrition science, a lot changes and a lot stays the same. Sure, there’s something of a divide between the low-fat and low-carb fans, but pretty much everyone agrees on the big picture: lots of plants, lots of water, protein with every meal, and an appropriate calorie intake for your activity level. There’s a new study every day, but nothing’s really changing. Except how we view gut bacteria. We’ve known that we have bacteria in our bellies for well over a century, but it wasn’t until the past decade or so that we had the technology to really understand their diversity and the ways that they interact with our bodies. Yes, we’ve been taking probiotic supplements with the understanding that they can improve digestion. But as study after study comes in, they’re being linked to increasingly surprising outcomes, many of which are relevant for athletes. While we like to think of our bodies as a single contained unit, we’re walking around all day with trillions and trillions of alien bacteria in and on our bodies. Research suggests that we have at least one bacterium for every human cell, with many putting the number at 1 human cell for 3 microbes. (1) So we’re probably more bacteria than person, if that makes sense. You’re president of the populous nation of you. Most of them live in the digestive tract in an ecosystem we call the gut microbiome, and that’s also where we find the most diversity. There are some 500 to 1,000 species of bacteria there and the more diverse your critter population is, the more species you have getting along with each other, then the healthier your system is, very generally speaking. We’ve known for a while that our gut bugs help us to break down food and absorb their nutrients, particularly plants. They do the same thing in other species; the only reason termites are able to eat wood pulp, for example, is because of their microbes. 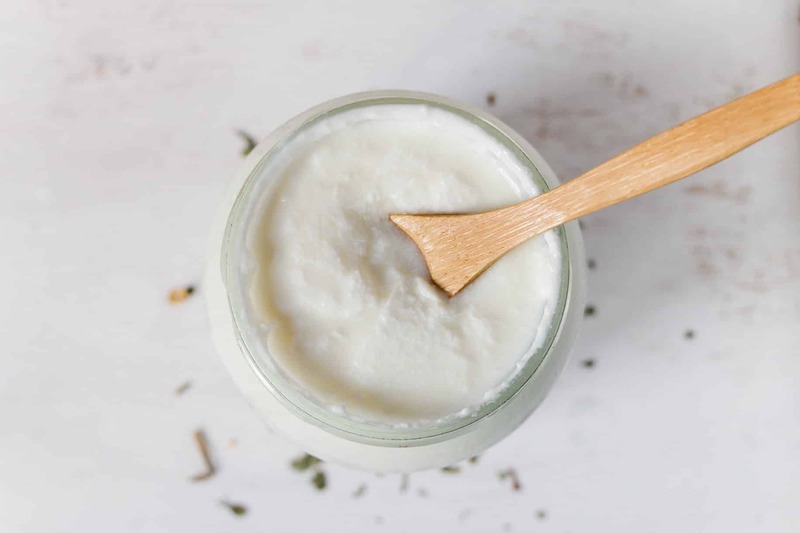 Probiotic supplements, which are full of the kind of bacteria our bellies like, have been used to treat digestive issues like gassiness and diarrhea for decades, especially when these problems have followed a course of antibiotics. As the name suggests, they kill off vast swathes of our gut critters and in some cases can cause digestive problems. Lately, we’ve been finding that the gut microbiome appears to influence other areas of our health. The research is in its infancy, which makes it exciting but hard to make really firm claims. That said, there’s pretty interesting work that’s suggesting the following effects. This refers to the way the body processes carbohydrates. Insulin helps to move sugar out of the blood and into your organs (mostly the liver and muscles) where it’s needed. 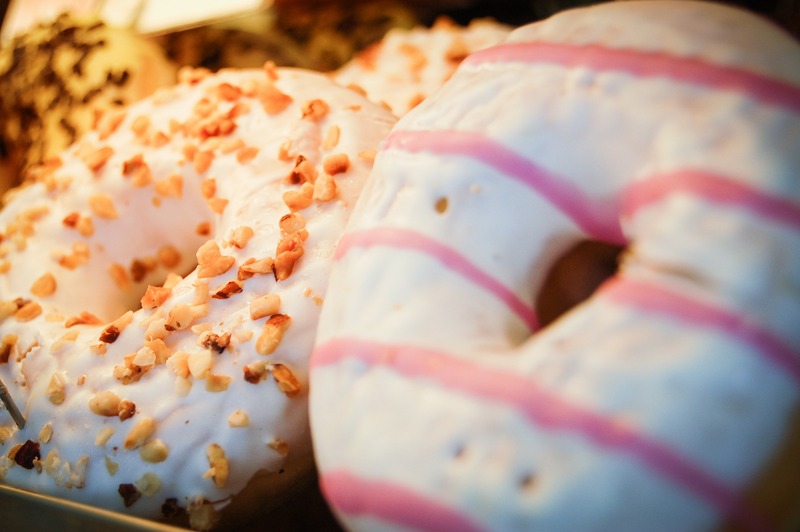 If you have good insulin sensitivity, you don’t need as much insulin to accomplish the job as you do if you have poor insulin sensitivity, or “insulin resistance.” That can lead to type 2 diabetes, when the body has tremendous difficulty getting the sugar out of the blood, and insulin resistance has also been linked to thyroid issues and several kinds of cancer. It also makes it harder to lose fat. This is a term that gets thrown around a lot but it’s often not really understood. Acute inflammation is when your hand gets red and swollen when you bump it, but usually people are talking about chronic inflammation. Basically, this refers to low levels of stress, a more long-term issue that happens when the body, in one way or another, is perceiving a threat and feels a need to defend itself. This puts the immune system on a low level of alert for a long period of time, which can have a ton of adverse effects. Here’s where things are really getting interesting. We want to reiterate that everything in this piece is based on relatively recent research and the results we’re talking about aren’t ironclad. We really need more time. A recent systematic review of ten well-regarded studies on this topic concluded that “the evidence for probiotics alleviating depressive symptoms is compelling” but more studies are needed. All of the reasons above have legit benefits for athletes. Insulin sensitivity makes it easier to get energy from your food, controlling your inflammation can help with muscle soreness and injury recovery, and better mental health can also have clear benefits with regard to focus, recovery, and motivation to exercise. gut microbiota may have a key role in controlling the oxidative stress and inflammatory responses as well as improving metabolism and energy expenditure during intense exercise. After decades of research on marathon runners and rowers, Harvard scientists claim that in the next year or two, they’ll have probiotic supplements specifically formulated for athletes. For now, there are a few ways to keep your guts in shape. Eat fermented food. 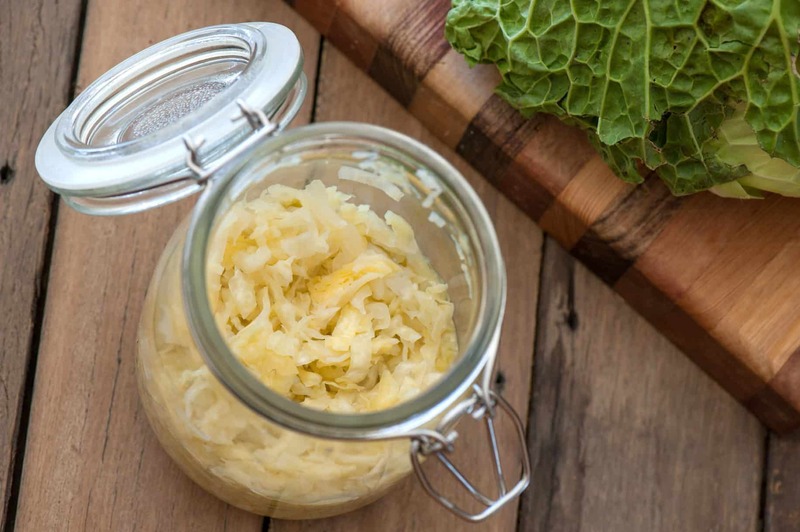 Not just dairy like yogurt and kefir, but sauerkraut and kimchi, if you’ve got a taste for it. Take a probiotic supplement. Again, don’t just stick to those starting with Lactobacilus, which are prevalent in dairy. Many of the studies mentioned used bugs from the Bifidobacterium and Streptococcus families, among others. Eat a lot of fiber. Soluble fiber (found in oatmeal, legumes, and fruit) ferments in the colon and feeds the bacteria that live there. Eat onions, leeks, and garlic. Foods like these contain prebiotic fiber, like inulin, which also feed bacteria. Manage your stress. Don’t forget that gut-brain axis. Avoid antibiotics when possible. Science writer Ed Yong has called likened taking antibiotics for a cold to nuking a city to kill a rat. It kills a huge number of your “good” microbes, and many feel antibiotics are overprescribed for ailments that don’t need them. But we’d never tell you not to follow your doctor’s orders — listen to a professional. This is a field of research that’s in its infancy, but it grows more exciting every day. The main takeaway is to remember that line about you being the president of your own nation. Treat your subjects well, and they’ll keep the system running smoothly. Sender, R et al. Are We Really Vastly Outnumbered? Revisiting the Ratio of Bacterial to Host Cells in Humans. Cell. 2016 Jan 28;164(3):337-40. Bäckhed, F. et al. The gut microbiota as an environmental factor that regulates fat storage. Proc Natl Acad Sci U S A. 2004 Nov 2;101(44):15718-23. Kadooka, Y. et al. Regulation of abdominal adiposity by probiotics (Lactobacillus gasseri SBT2055) in adults with obese tendencies in a randomized controlled trial. Eur J Clin Nutr. 2010 Jun;64(6):636-43. Andreasen, AS. et al. Effects of Lactobacillus acidophilus NCFM on insulin sensitivity and the systemic inflammatory response in human subjects. Br J Nutr. 2010 Dec;104(12):1831-8. Kallus, SJ. The intestinal microbiota and obesity. J Clin Gastroenterol. 2012 Jan;46(1):16-24. Le Chatelier, E. et al. Richness of human gut microbiome correlates with metabolic markers. Nature. 2013 Aug 29;500(7464):541-6. Carvalho, B.M. et al. Influence of gut microbiota on subclinical inflammation and insulin resistance. Mediators Inflamm. 2013;2013:986734. Plaza-Diaz, J. et al. Evidence of the Anti-Inflammatory Effects of Probiotics and Synbiotics in Intestinal Chronic Diseases. Nutrients. 2017 Jun; 9(6): 555. Messaoudi, M. et al. Assessment of psychotropic-like properties of a probiotic formulation (Lactobacillus helveticus R0052 and Bifidobacterium longum R0175) in rats and human subjects. Br J Nutr. 2011 Mar;105(5):755-64. Schmidt, K. et al. Prebiotic intake reduces the waking cortisol response and alters emotional bias in healthy volunteers. Psychopharmacology (Berl). 2015 May;232(10):1793-801. Desbonnet, L. et al. Effects of the probiotic Bifidobacterium infantis in the maternal separation model of depression. Neuroscience. 2010 Nov 10;170(4):1179-88. Pyne, D.B. et al. 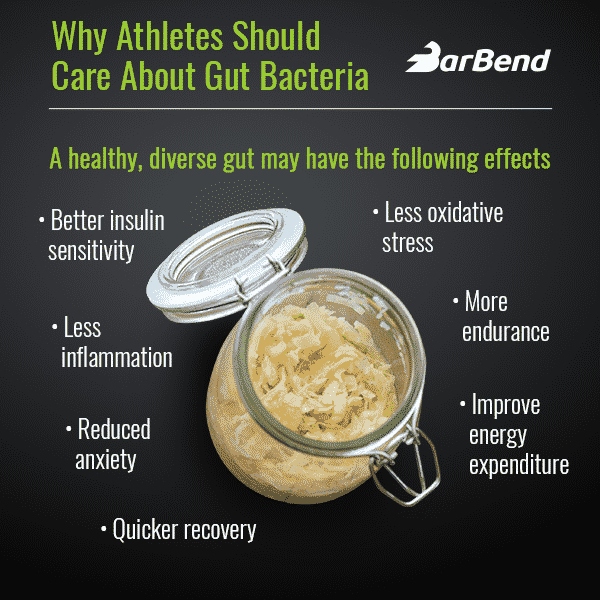 Probiotics supplementation for athletes – clinical and physiological effects. Eur J Sport Sci. 2015;15(1):63-72. Nichols, A.W. Probiotics and athletic performance: a systematic review. Curr Sports Med Rep. 2007 Jul;6(4):269-73. Hsu, Y.J. et al. Effect of intestinal microbiota on exercise performance in mice. J Strength Cond Res. 2015 Feb;29(2):552-8. Jäger, R. et al. 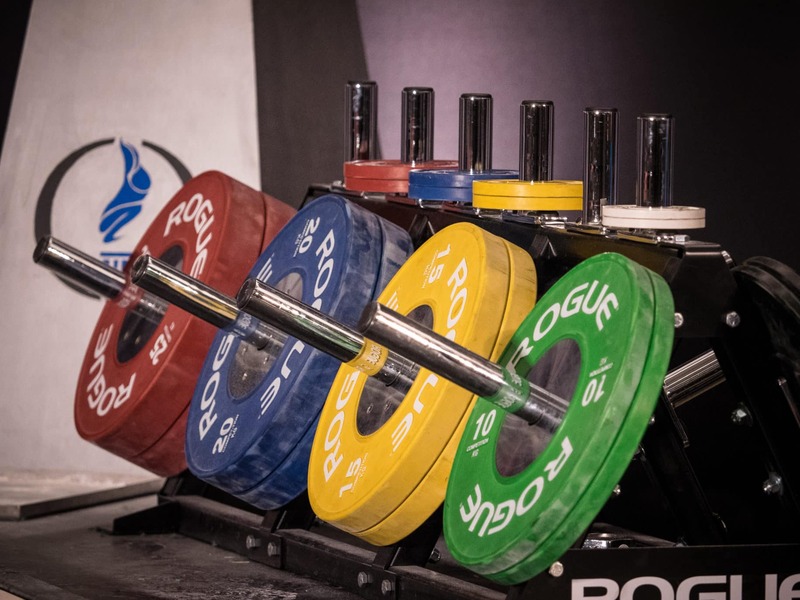 Probiotic Streptococcus thermophilus FP4 and Bifidobacterium breve BR03 Supplementation Attenuates Performance and Range-of-Motion Decrements Following Muscle Damaging Exercise. utrients. 2016 Oct 14;8(10). Jäger, R. et al. Probiotic Bacillus coagulans GBI-30, 6086 reduces exercise-induced muscle damage and increases recovery. PeerJ. 2016 Jul 21;4:e2276. Lu, W.Z. et al. Melatonin improves bowel symptoms in female patients with irritable bowel syndrome: a double-blind placebo-controlled study. Aliment Pharmacol Ther. 2005 Nov 15;22(10):927-34. Charoenphandhu, N. et al. Prolactin is an important regulator of intestinal calcium transport. Can J Physiol Pharmacol. 2007 Jun;85(6):569-81.
great article Nick. People think of their food intake like a simple bank account “if I eat 30 grams of protein,I absorb 30 grams” not without the gut to efficiently process the protein, so to keep it in shape, you need to keep the gut machine in the best shape possible with probiotics.